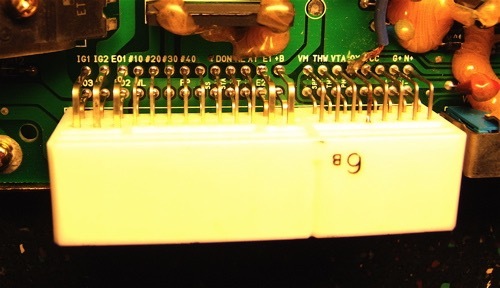 The easiest way to get the MicroSquirt to integrate with the GTS1000 loom, is to make an interconnect between the two. 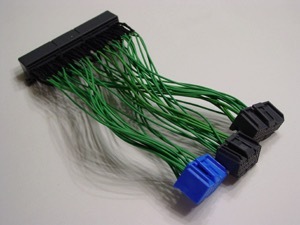 I am on the look out for some inline female connectors and pins that will linkup to the existing ECU loom plugs. The connector looks like this, and it is an AMP Multilock 040/070 Hybrid component. 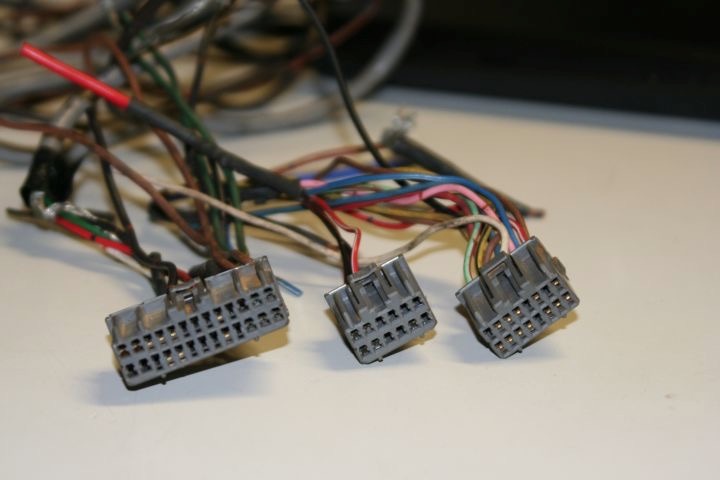 The GTS1000 loom has two connectors that are the same as the left and right ones in this pic above, the left one is a 26P and the right a 16P type, but the left connector has two different sized pins, which you can just make out four on the left and six on the right. Fortunately, there are quite a few folks out there that like these Toyotas, and there is a company making bespoke loom adaptors for them, and after lurking on a few forums found this link. http://www.boomslang.us They make products like this. Time to send an email.